Cards are now in the air for Day 3 of the $10k WPT Shooting Star tournament. 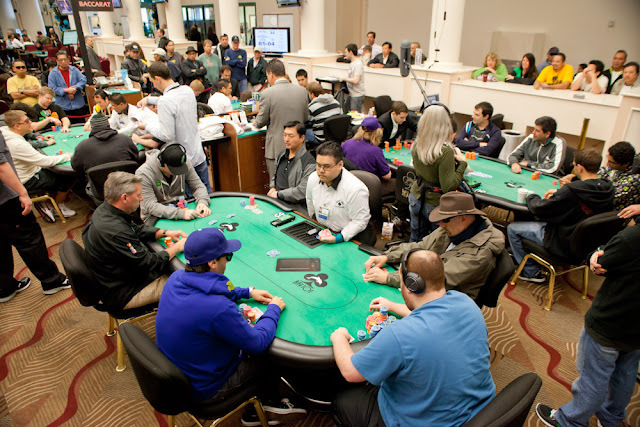 The tournament has 24 players remaining, and they are playing as four 6-handed tables. There's still three bounties in the field including Kathy Liebert, Mike Sexton, and Mike Matusow. We are streaming two tables today. Our featured table is table #43 with Kathy Leibert, Joris Springael, Brian Schmidt, Mark Dickstein, Vivek Rajkumar, Casey McCarrel. You can watch by clicking on "Watch LIVE Video" at the top of this page. There will be a redraw when the tournament hits 18 players, so expect to see our two featured tables have some new names shortly.